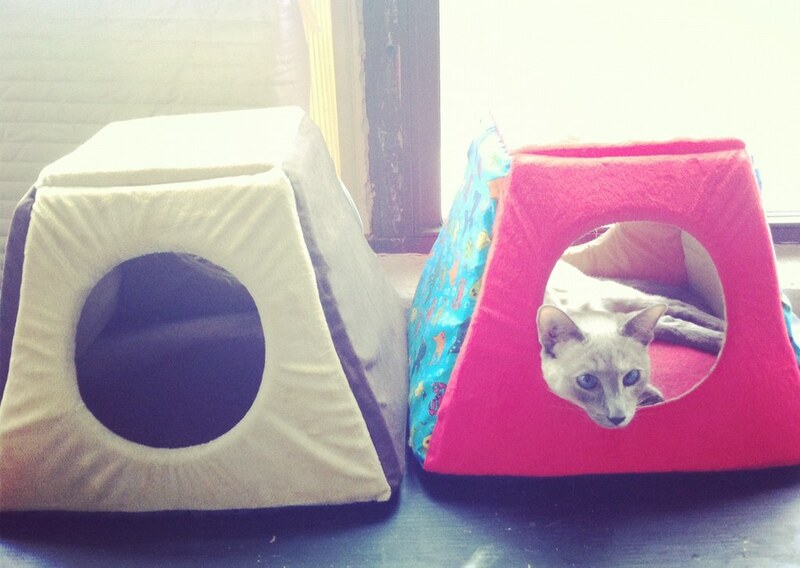 This is what a home looks like with limited space and 4 cats. 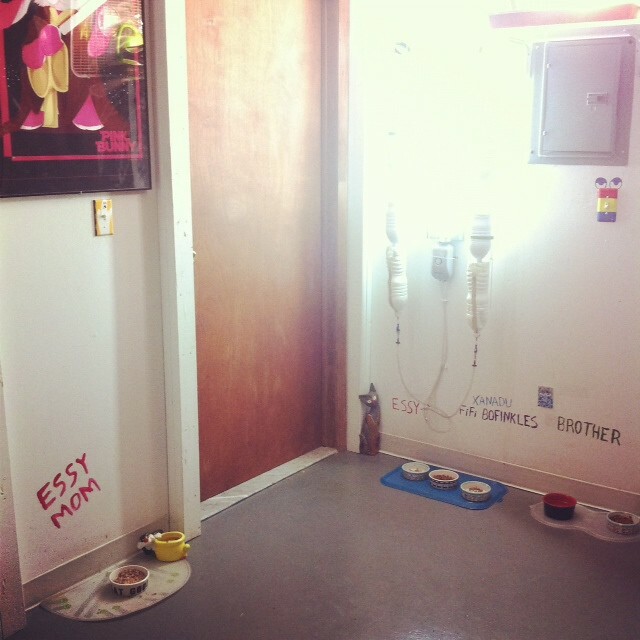 This is their eating area, their names used to be relevant to their bowl area but they have switched over time. Everyone gets their own bowl and Essy eats off to the side as she doesn’t like when the other cats watch her. 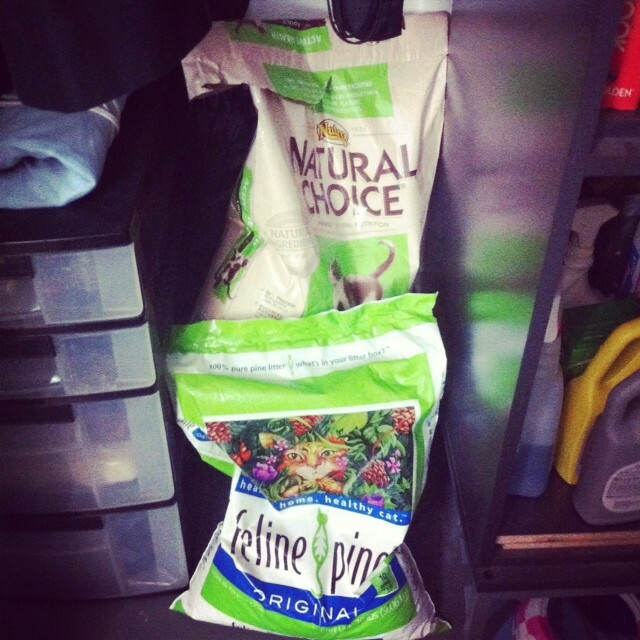 This is pretty much the cat pantry. These cats are made by Jessica Ennis for a shoot we did for V-MAN. This is Essy’s food + the treats. Essy only eats soft food and right now she only (seriously, ONLY) eats Fancy Feast Medley’s. 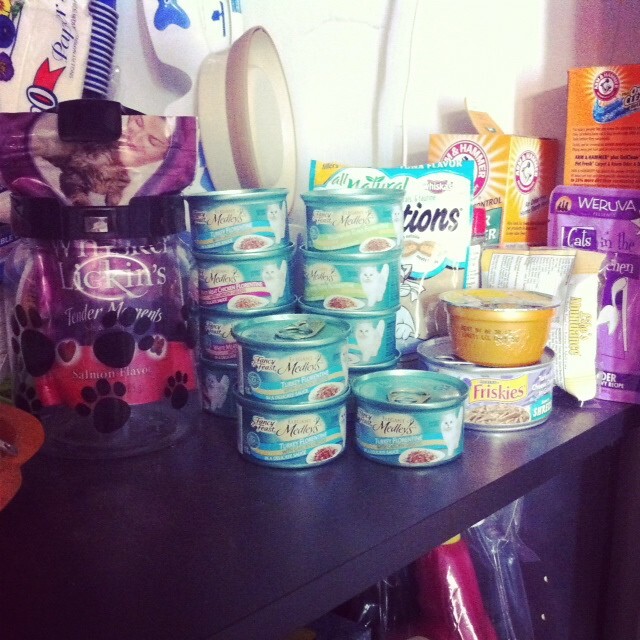 Hard food that all the cats (except Essy) share plus the best litter in the world. 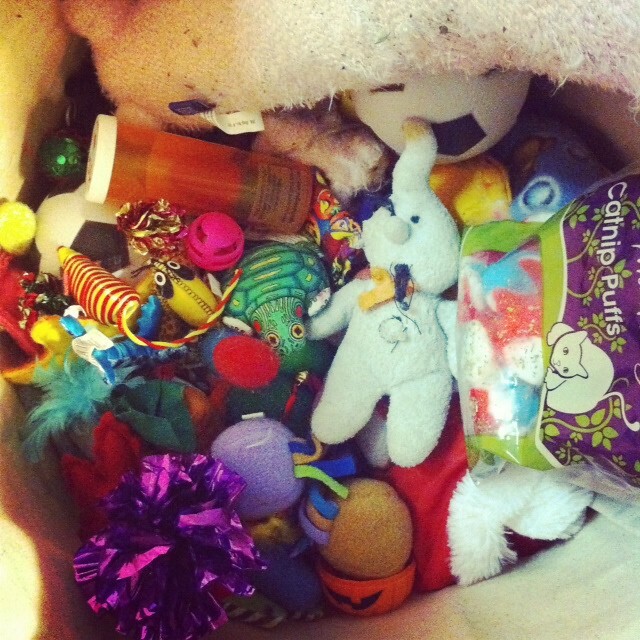 This is the cat’s toy bin, isn’t it adorable? 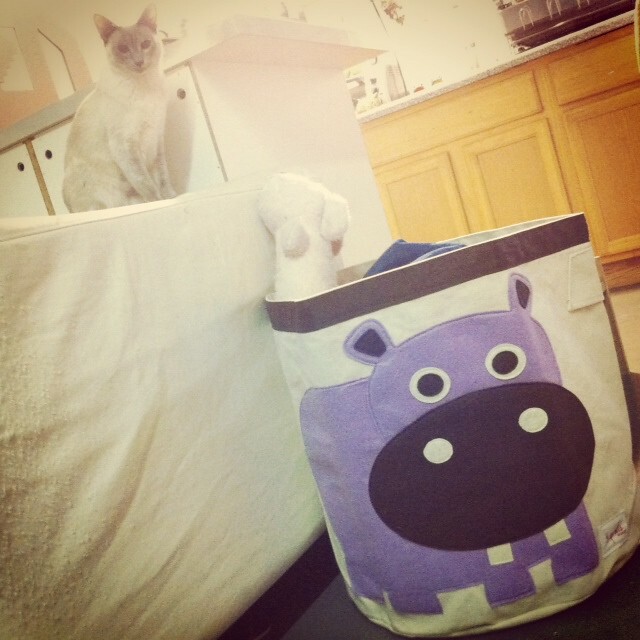 I was looking for one all over then I just found this kids canvas bin made by 3Sprouts that works great. I had no idea how big it was! The cats could easily dive into this and swim around. But they have alot of toys…. They will never run out of toys. The easily have over 50 balls. 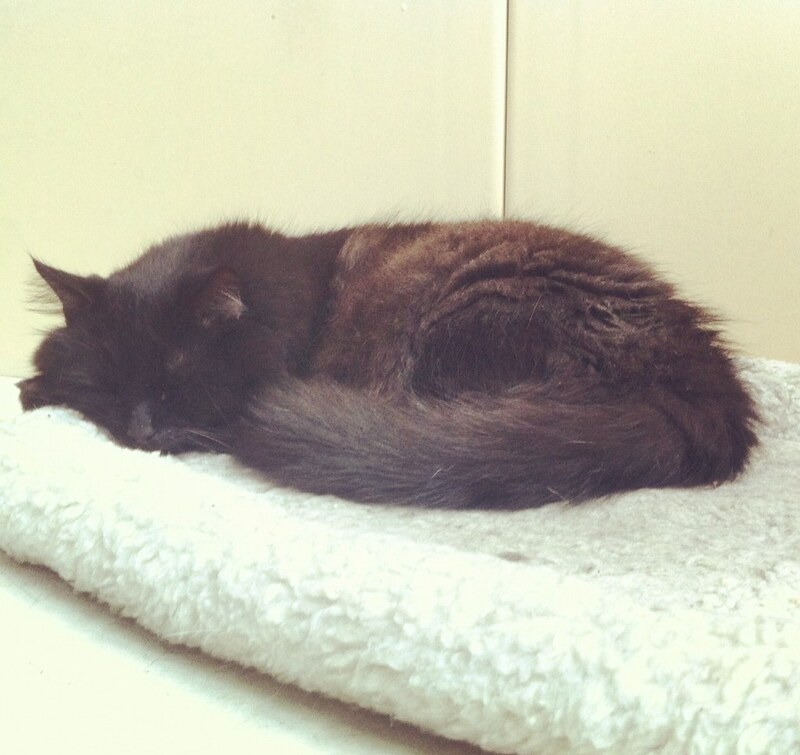 Remember I did that post on heated cat beds? Yeah well Xanadu won and we’re up to 3 heated beds now. You can’t see but Essy is off to the side here looking out the window, stretching it out. Brother is a big guy so he usually just lays on the floor in his non-heated bed.